Q. What Do Rich States Have in Common? 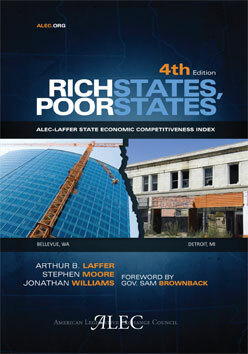 The American Legislative Exchange Council this week released the latest version of its “Rich States, Poor States” report, which compares the economic performance of the fifty States. It finds that eight of the top ten States for economic growth are controlled by Republican elected officials, while eight of the ten bottom States are controlled by Democrats. Not co-incidentally, electricity costs are lower in the States with the strongest growth. Nine of the top ten States have lower electric rates that the average of the bottom ten.